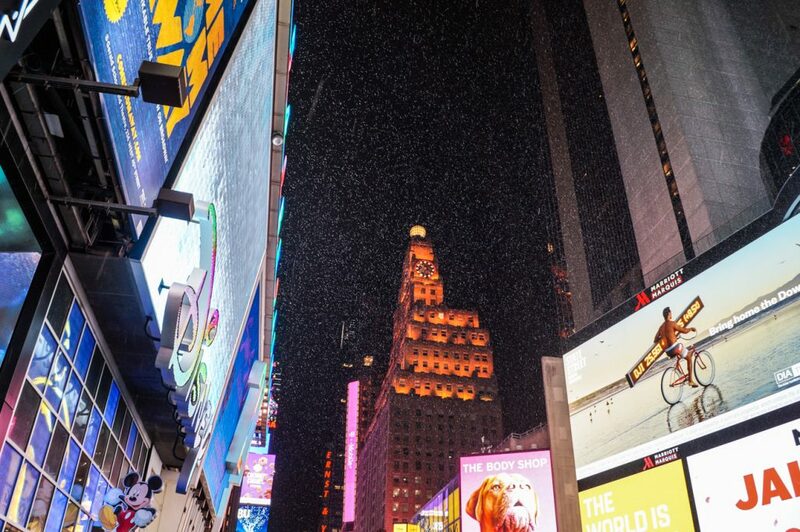 Last month, we spent a few days visiting New York City with Evan and Claire. 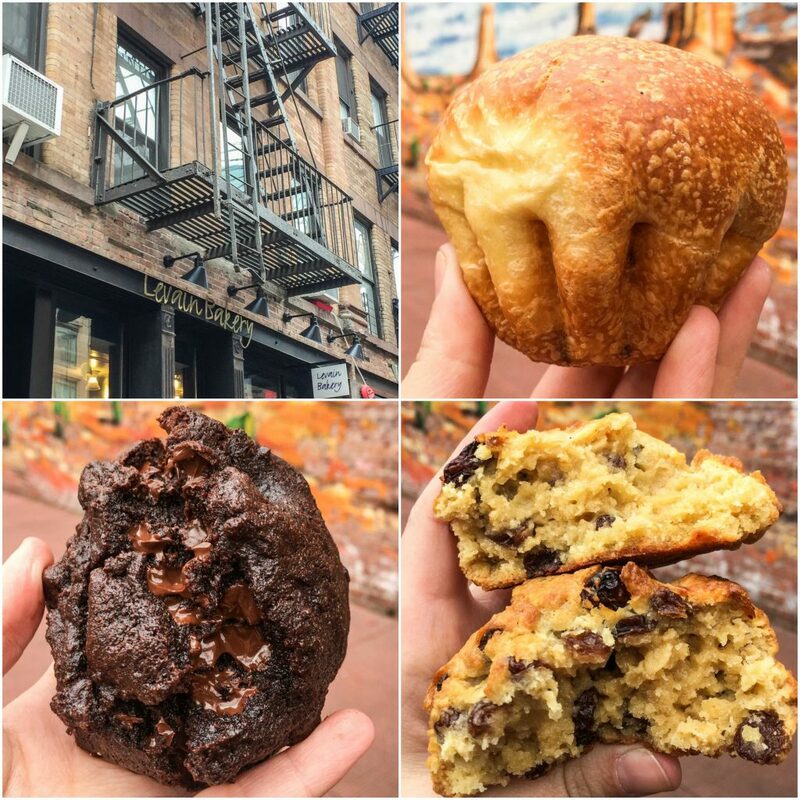 I will be featuring our kid-friendly trip to NYC in a series of blog posts I started last week with Chinatown/Little Italy, the Lower East Side, DUMBO in Brooklyn, and Xiao Long Bao (Soup Dumplings). Today I am featuring the American Museum of Natural History, Times Square, and a recipe for Dark Chocolate Chocolate Chip Cookies inspired by Levain Bakery. 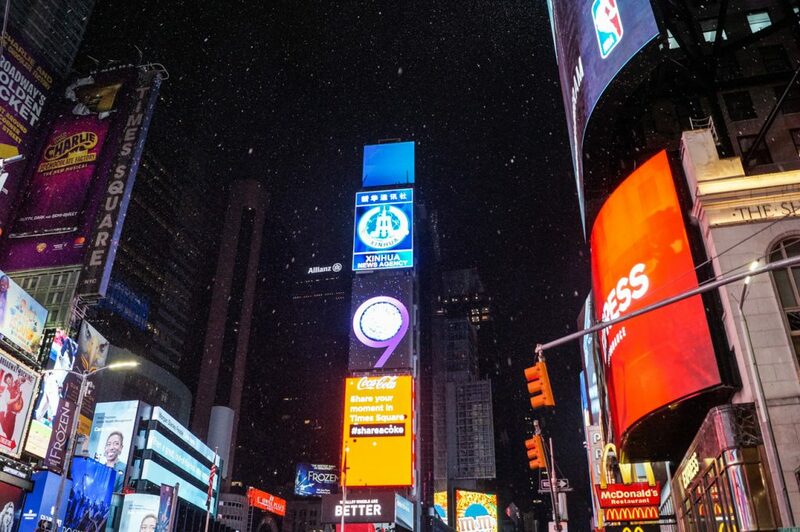 Miss our NYC travels last year? 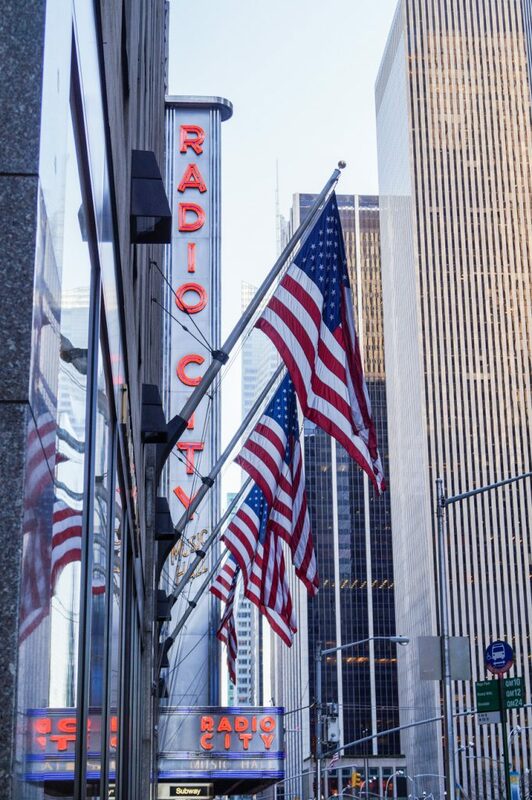 Here are the links to those posts: Rockefeller Center, Times Square, Chelsea Market, Greenwich Village, and New York Style Pizza; 9/11 Memorial & Museum, Statue of Liberty, Ellis Island, and Bagels; and Central Park, Chinatown, Flatiron District, and Black and White Cookies. 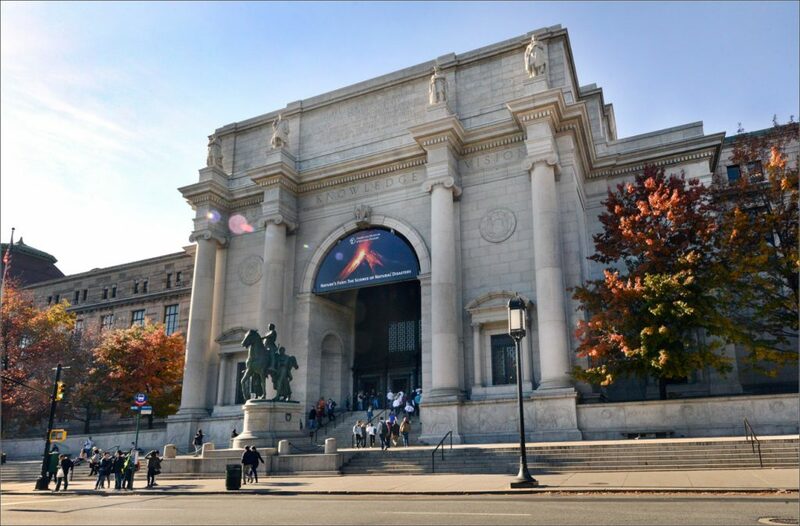 Disclosure: I was provided tickets to the American Museum of Natural History in exchange for my honest review. All comments and opinions are my own. 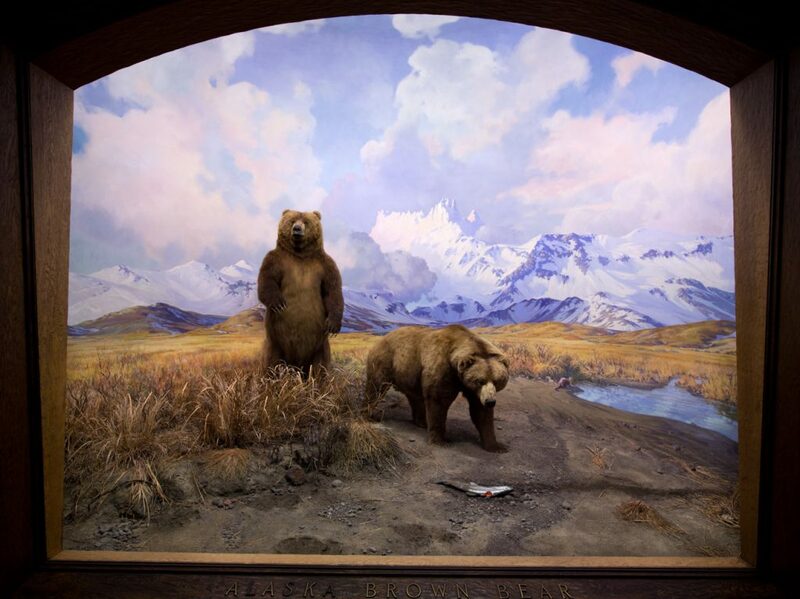 With the exception of the photos including our family, the American Museum of Natural History provided all the photos for this post. Claire was particularly fascinated by the Mammal Halls with their incredibly detailed dioramas. 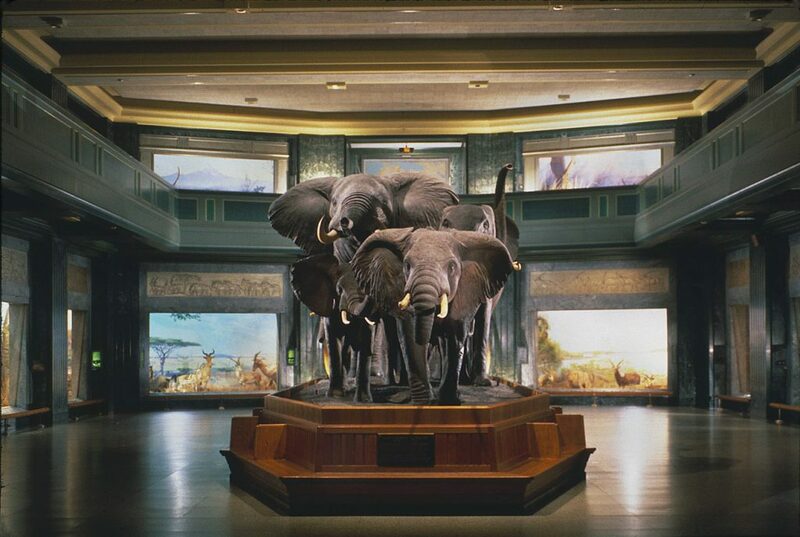 Located just inside the Central Park West entrance and stretching up three floors, the Mammal Halls include the Bernard Family Hall of North American Mammals (photo below), Akeley Hall of African Mammals (photo above), Hall of Asian Mammals, Hall of New York State Mammals, Hall of Primates, and Hall of Small Mammals. The massive 94 ft long Giant Blue Whale model in the Milstein Hall of Ocean Life is one of the most notable displays in the museum with its 21,000-pounds of fiberglass. 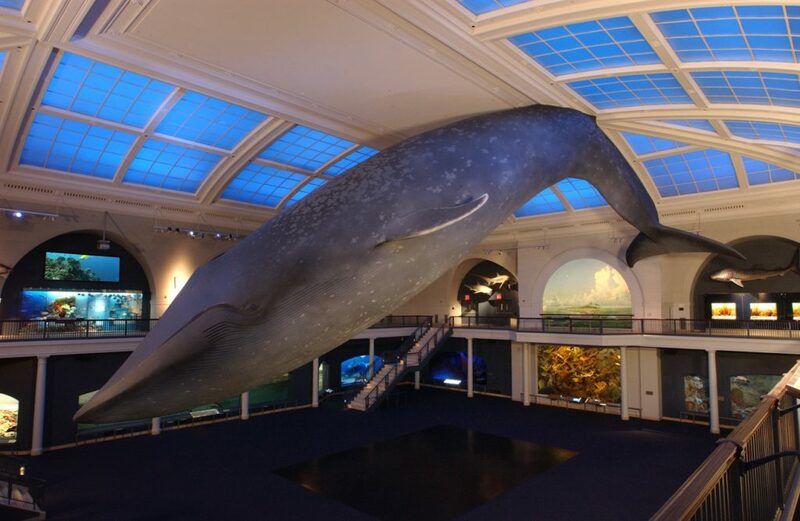 The hall is also home to a replica of the Andros Island Barrier Reef in the 1930s, Sperm Whale and Giant Squid diorama, Whale Shark, and more. 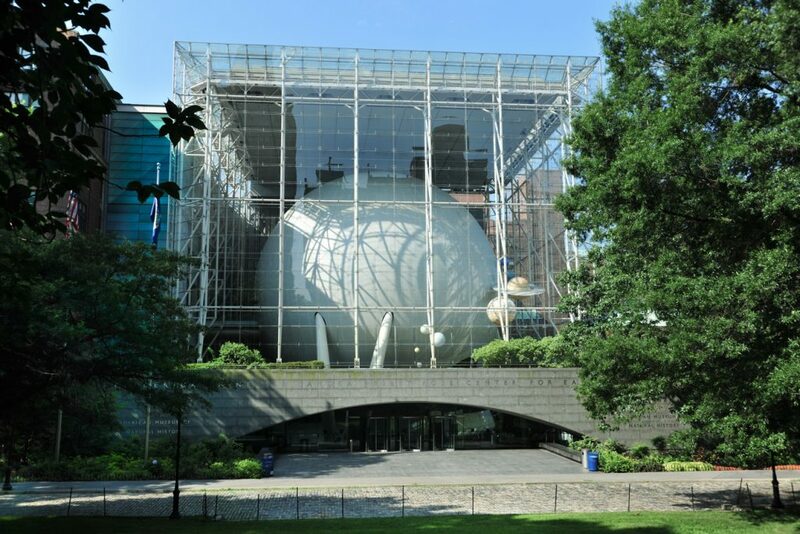 The Rose Center for Earth and Space includes the Hayden Planetarium, Harriet and Robert Heilbrunn Cosmic Pathway, Scales of the Universe, Dorothy and Lewis B. Cullman Hall of the Universe, David S. and Ruth L. Gottesman Hall of Planet Earth, and the Hayden Big Bang Theater. One of the busiest areas of the museum is the fourth floor. This section is a dinosaur lover’s dream and houses the Paul and Irma Milstein Hall of Advanced Mammals, Hall of Ornithischian Dinosaurs, Hall of Primitive Mammals, Hall of Saurischian Dinosaurs, Hall of Vertebrate Origins, and the Miriam and Ira D. Wallach Orientation Center. 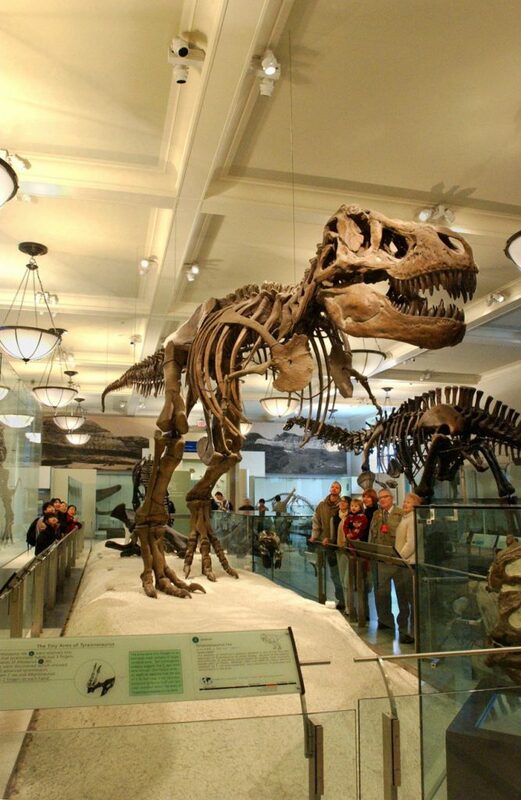 Highlights include the Tyrannosaurus Rex, Mammoth, Lestodon (giant ground sloth), Triceratops, Coelacanth, a dinosaur mummy (fossilized imprint of the carcass of a duck-billed dinosaur), the evolution of horses, and so much more. The Butterfly Conservatory (additional admission) is an annual seasonal exhibit currently open until May 28, 2018. In the walk-in 80˚F vivarium, you can see up to 500 butterflies and moths from around the world flying, eating, and resting up close. Claire even had a butterfly land on her head! 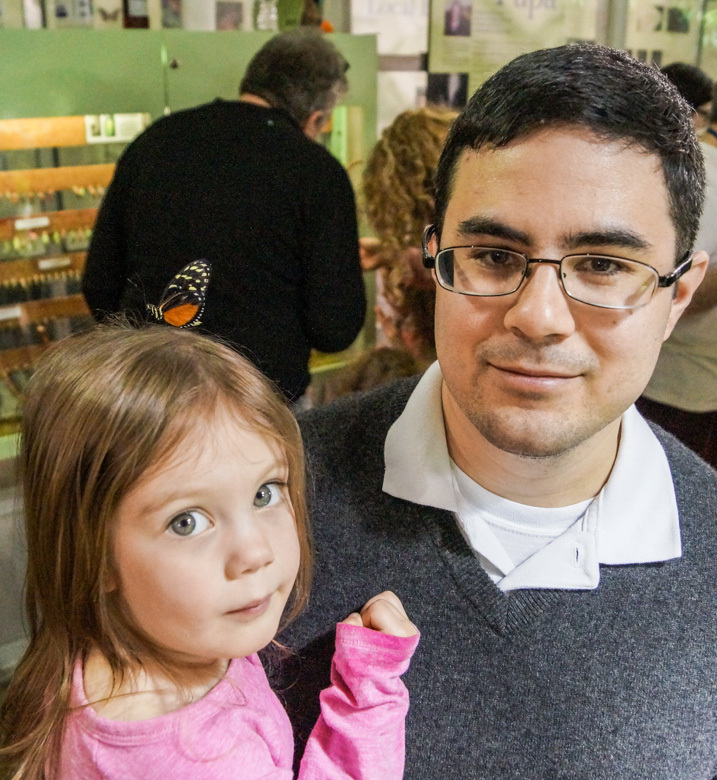 There are also pupae hanging in a glass enclosure and displays outside the vivarium to help explain the life cycle of butterflies and more about their habitat. 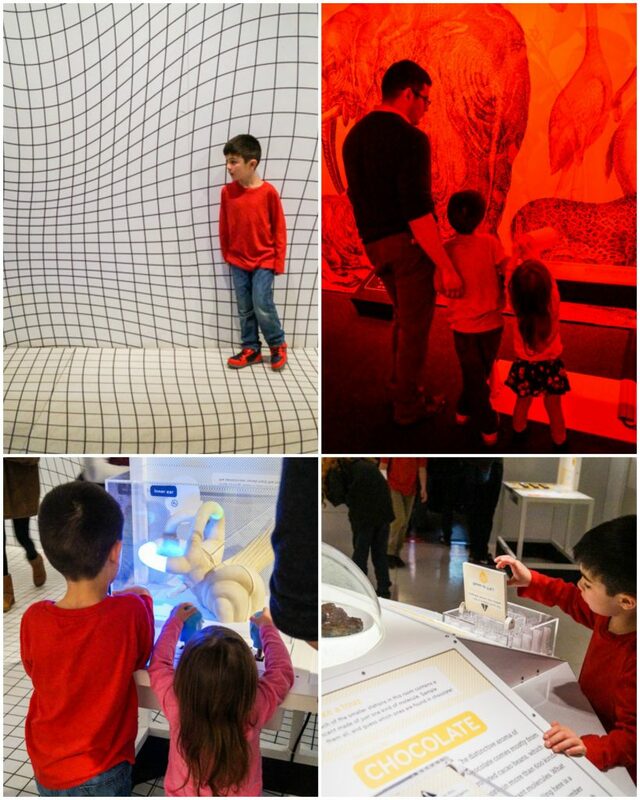 Evan’s favorite section was Our Senses– a temporary exhibit open until January 6th, 2019 (additional admission). 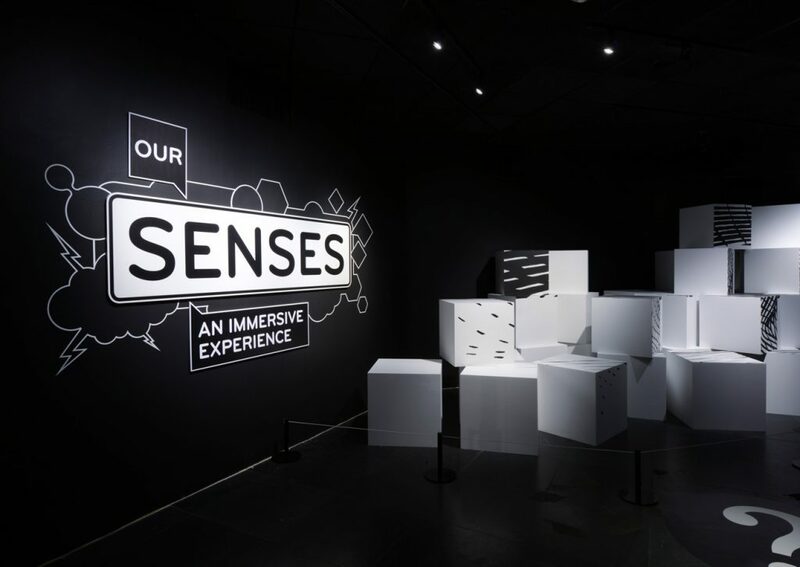 This immersive experience houses 11 funhouse-like spaces that explore sight, smell, hearing, touch, balance, and taste. There were plenty of activities to hold Evan and Claire’s attention and help them learn along the way from an oversized garden as seen through the eyes of a bee/butterfly and decorated walls lit with an alternating series of colored lights to detecting the smells in chocolate and using three-dimensional models to experiment with different types of touch signals. The Halls of Gems and Minerals are currently closed for a major renovation, but will open fall of 2019 as the new Allison and Roberto Mignone Halls of Gems and Minerals. I also enjoyed walking through the Anne and Bernard Spitzer Hall of Human Origins and the Cultural Halls. We didn’t take advantage of this, but the museum has a unique tour program for those who also have children on the spectrum. The Discovery Squad program was created in collaboration with the Seaver Autism Center at the Icahn School of Medicine at Mount Sinai. On select Saturdays from 9–10 am (registration is required), 40 minute tours are offered for children aged 5-14 before the museum opens to the public. All of the exhibitions are also accessible by wheelchair. We ate outside of the museum, but there are cafés on the first and fourth floors along with a Museum Food Court on the lower level. Overall, we had such a wonderful experience at the American Museum of Natural History. We spend about 4 hours here, but 1-2 days is ideal to fully see everything the museum has to offer. As a note, we noticed the crowd levels increase immensely around 12-3. Evan got a bit overwhelmed and needed a few breaks during this time. It was especially tight through the walkways around the dinosaurs, upper level mammal dioramas, and ocean life. 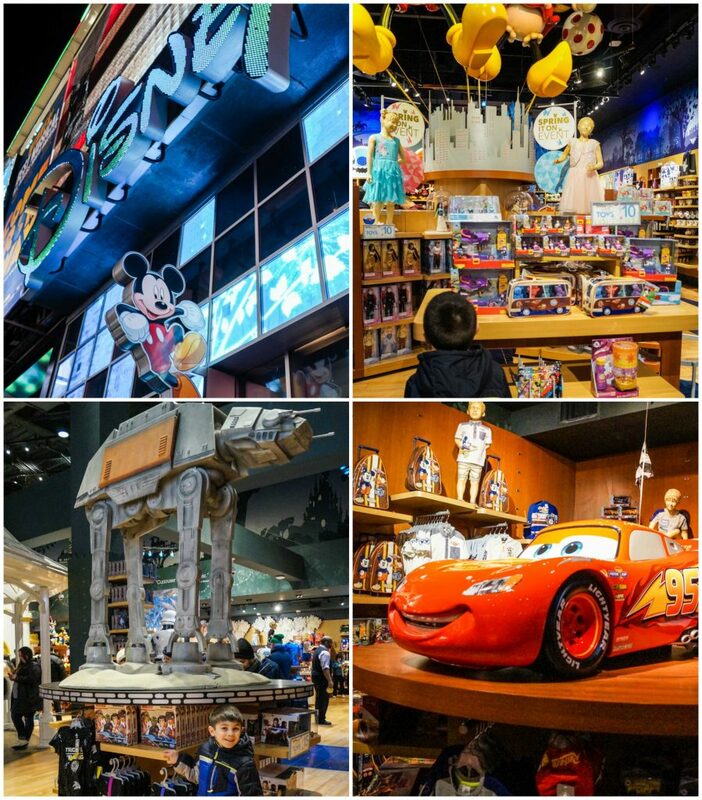 If you don’t have multiple days to see this incredible museum, plan which exhibits are the most important ahead of time, arrive at opening, and go to those first- especially if you have younger children who may not have the stamina for a full day. After the American Museum of Natural History, we took the short walk to Levain Bakery. 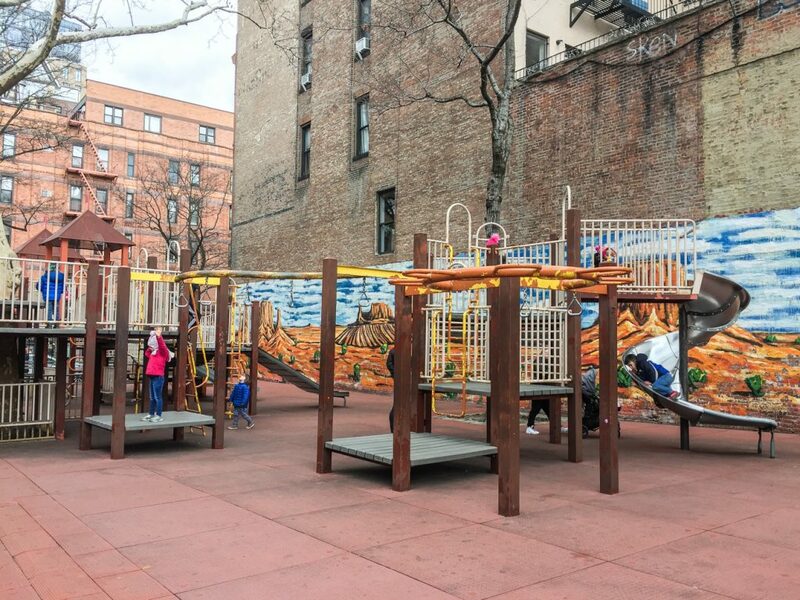 I dropped off Chad and the kids at Tecumseh Playground on the corner of 77th and Amsterdam Avenue in anticipation of a long line. I went to the location at 351 Amsterdam Avenue (they are also at West 74th St, Harlem, and in Wainscott) and while the line was wrapped impressively in such a tight area, it moved quickly. We planned to eat a more substantial late lunch after the playground, so I only picked up a few treats to hold us until then. Chad said the Oatmeal Raisin Cookie was one of the best he has ever had. Evan, Claire, and I all went straight for the Dark Chocolate Chocolate Chip Cookie with its crisp exterior and soft, gooey brownie-like center. We also enjoyed a couple of Plain Brioches to help cut the sweetness from the cookies. Our original plan after visiting the Natural History Museum and Levain Bakery was to walk down Central Park to the Turnstyle Underground Market, then play at the Heckscher Playground. Unfortunately the kids were a little too chilly for a long walk and Evan was a bit sensory overloaded following the museum, so they were ready to just get some food and relax. 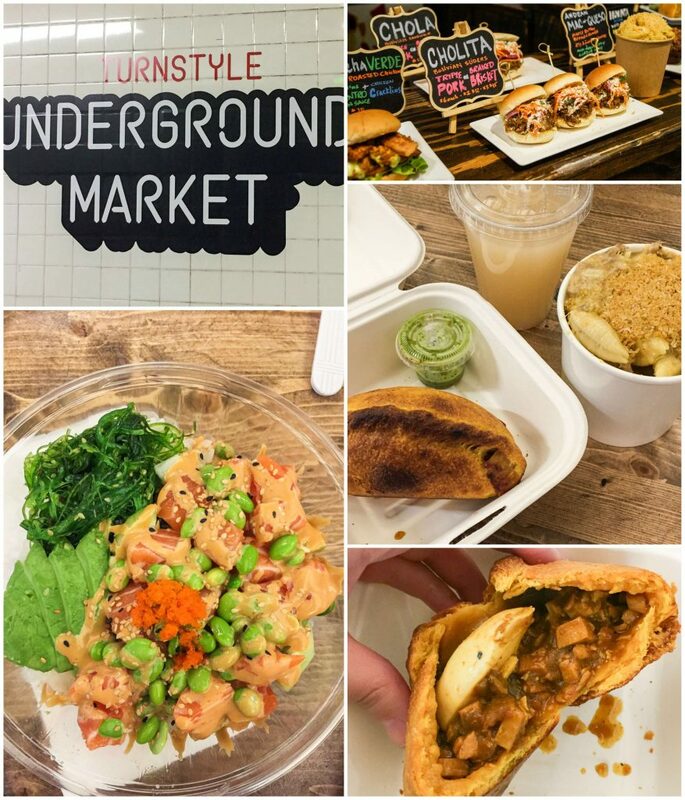 We ended up taking the subway straight to the Turnstyle Underground Market, grabbed lunch, then went back to the hotel for a little break. The Turnstyle Underground Market connects to the 59th St-Columbus Circle station (no MetroCard is needed to access this section of the station). It spans a full city block with 18 food vendors, 15 retail stores, and 5 kiosks. A handful of the eateries have dedicated seating and there are a few other picnic-style tables through the center of the market. We entered from the subway, but there are also seven street-level entrances. I went straight to Bolivian Llama Party for their Salteñas- large, stew-filled baked pastries. I settled on the Chimba Salteña (filled with a delicious, comforting chicken stew and sliced egg), but other options include Beni (beef), Toco (pork fricase), Cala Cala (double smoked brisket), and Cliza (smoked oyster mushrooms, squash, and quinoa). I also got the Brisket Mac and Cheese for the kids and a Cherimoya drink. Chad picked out a Salmon Rice Bowl from Yong Kang Street. Other food stalls located in the market include 16 Handles x Mochidoki, Chick’nCone, Daa! Dumplings, and more. 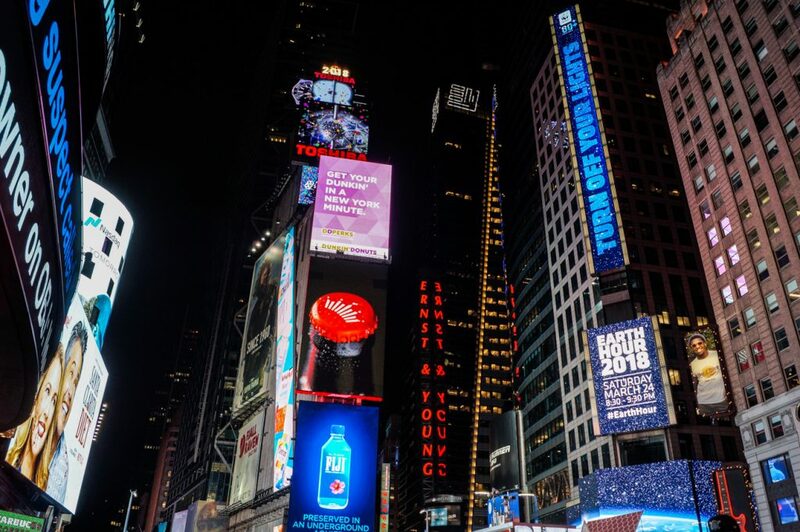 After our hotel break, we briefly went out to Times Square so Evan could see the lights. Our only stop was the Disney Store. Evan and Claire loved looking through all the displays spread across the two floors. The area was slightly chaotic, even at 9 pm, but the staff were still incredibly helpful and went out of their way to engage with the kids. We came out of the store just in time to see a surprise snow shower. It only lasted a minute or two, but it was a nice way to end the day. We didn’t get a chance to visit anything else in the area since it was already late at night, but I also had Hershey World and Junior’s Restaurant and Bakery on the list. 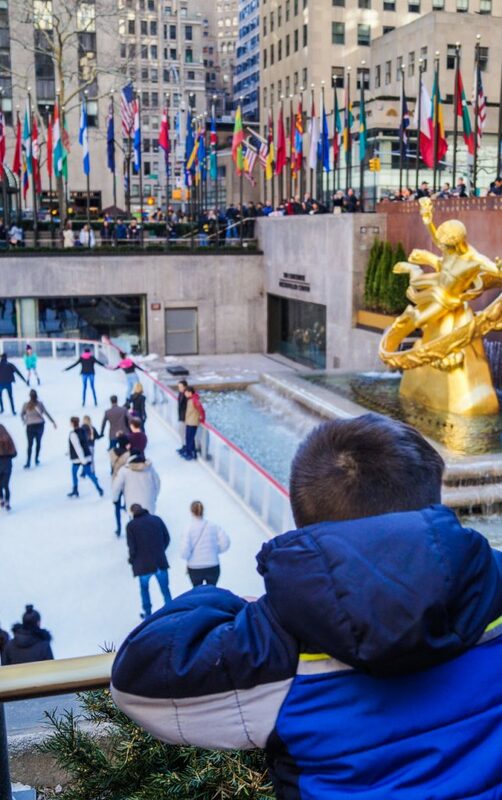 We spent more time around Rockefeller Center last year, but did walk through on our first day so the kids could see it and visit a couple of shops. 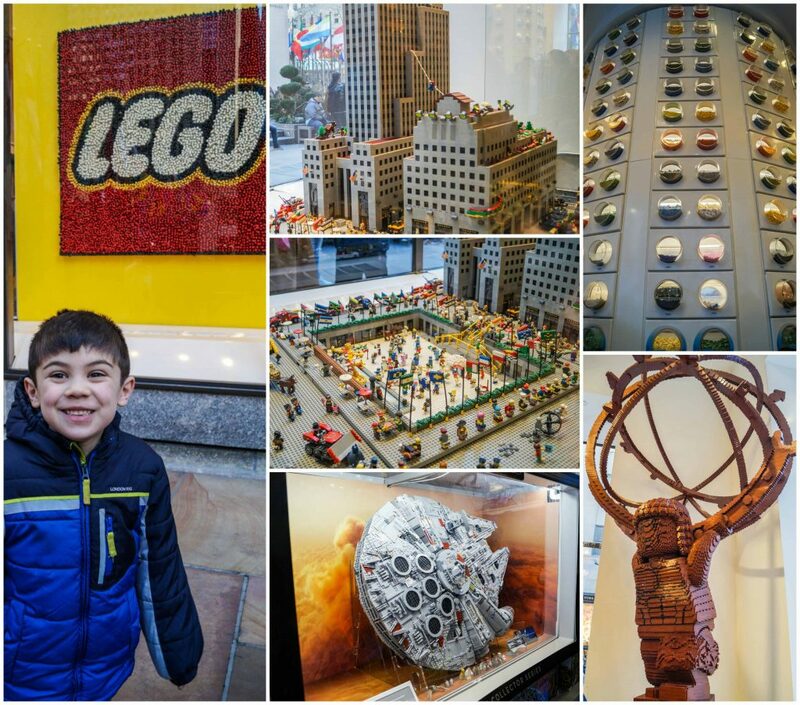 Evan was so excited to see the Lego Store in Rockefeller Center. He especially loved the models of Rockefeller Center and the new 7,541 piece Millennium Falcon on display. 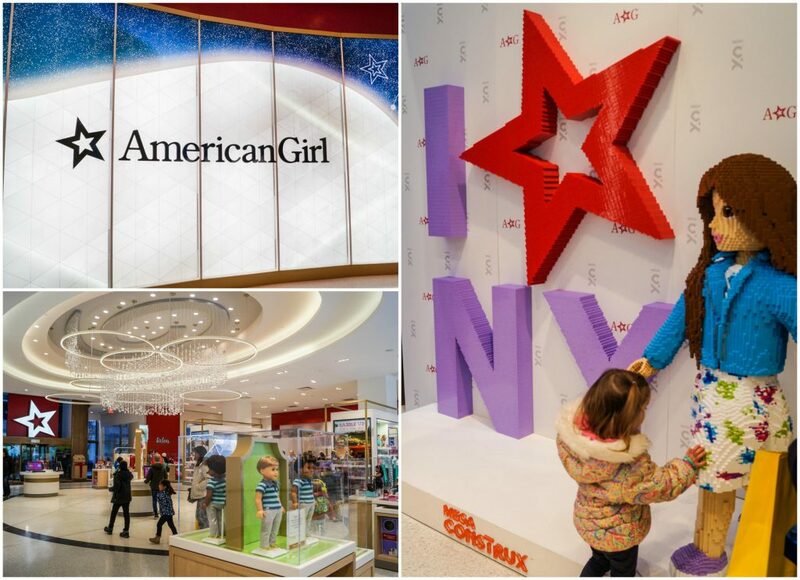 After visiting The LEGO Store for Evan, Claire wanted to see the American Girl Place. Claire got a Truly Me doll from her grandmother on her first birthday and is now starting to really play with her. She had so much fun looking through all the accessories and picked out a little snack-filled beach cooler with her birthday money. Besides not visiting Central Park, we also didn’t make it over to the Upper East Side. On our list for that area was Glaser’s Bake Shop (which is closing) and Bigoi Venezia. These Dark Chocolate Chocolate Chip Cookies are perfect for that chocolate craving. Inspired by our visit to Levain Bakery, the thick cookie base is flavored with dark chocolate cocoa powder and studded with semi-sweet chocolate chips (splurge for the best-quality here). I personally liked the look of additional chocolate chips placed directly all over the tops, but they weren’t decorated this way at the bakery. I originally planned on adding about a teaspoon of cornstarch to the dough, but completely forgot while I was mixing. I may try it again in the future to help add to the texture of that rich, gooey center. In a stand mixer fitted with a paddle attachment, beat together the butter, brown sugar, and granulated sugar until smooth and creamy. Pulse in the dark cocoa powder until incorporated, then mix in the all-purpose and cake flours with the baking powder and salt until just combined. Stir in 9 ounces of the chocolate chips. Pull off about 1/3 cup piece of dough, measuring it and adding more or less to make 4.5 ounces. Roll into a ball and place on a parchment-lined baking sheet. Repeat with the remaining dough, dividing them between two baking sheets and about 2-3 inches apart. If desired, top the cookie balls with remaining chocolate chips. Place the baking sheets in the freezer for 1 hour. Preheat oven to 350˚F. Bake the frozen cookies in the preheated oven until just set, about 18 minutes. Allow to cool to room temperature, about 20 minutes, and they are best eaten the day they are baked. It sounds like a great trip. My kids would love the Our Senses exhibit! And these cookies look amazing. Such a yummy treat! You had me at “dark chocolate”!! I NEED to make these asap!! These cookies look amazing because they are packed with chocolate. Those melty chocolate chips are just calling out to me! Looks like such a fun trip and a great way to bond with the kiddos. Oh my goodness!! Look at those cookies ☝️💛💛 I just feel like picking one off my cellphone screen 🤣 I am in chocolate come right now! Oh my goodness Tara! What a wonderful trip, and those cookies are amazing. Those cookies sound divine! I adore dark chocolate more than anything in my life. Thanks for a wonderful share! Oh my these look so delicious! Can’t wait to make them!